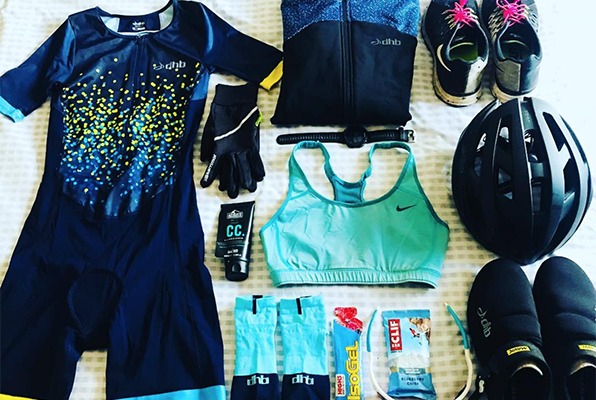 Packing these 33 items for a triathlon will ensure a smoother event day so you can focus on giving it your all and coming out with a personal best. All the training is done, and it’s almost event day but keeping check of all the bits of equipment you need for a triathlon is difficult. Writing a list of all the items and splitting them into the different disciplines of a triathlon is an easy way to keep track and be prepared for event day. The following list of 33 essential items will help you pack for your next triathlon. 7. Bike — If you’re new to triathlons any bike will do but if the tri bug hits you, then you can start thinking about getting a more appropriate bike. Try and get it checked out at your local shop before an event to make sure everything is running smoothly. 17. Energy gels — this can also include any bars or other nutrition that you want for during the actual event. Normally people choose to have some during the bike discipline and in the bike to run transition.